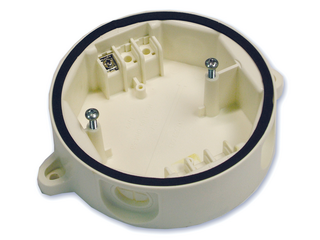 Where the detectors are mounted in humid and environmentally challenging situations such as marine or offshore installations, the DHM-5B deck head mount provides a sealed waterproof mounting which protects the 5” bases electrical connections. Can be screwed, bolted or welded to the deckhead. Supplied with 1 terminal.